Manuela Mandl is facing this season with a different mind in the aftermaths of last year’s head injury. 19. January 2019: The sun is shining in Hakuba, Japan. Manuela Mandl is keeping a bit to herself on the top of the mountain, where the flank towards the finishing line already has been tracked by other Freeride World tour-riders. She is enjoying the quietness, the quietness you get when the wind is blowing hard around your helmet. For Manuela the waiting game is normally about hanging out with good friends and colleagues before start in the Freeride World Tour circus. This time, it’s different. Her head is different, as it has been ever since she landed on it during filming last spring. She does a little dance on the starting line, shakes off the uneasiness that has followed her in the early winter season. She tries not to think of her brain too much. Now it is about snowboarding and enjoying the chance to ride down a beautiful mountain in nice conditions. The beeper is counting down. The winter in Austria has been “snowmageddon”. Closed roads, traffic jams and freeriders who are going off the hinges as white and fluffy snow covers their beloved mountains. After growing up in the mountain country, Manuela’s time is spent more and more in her preferred landscape. “The more time you spend out in the mountains, the better you can read it and you can ride more aggressively”, Manuela says. Aggressive is her game. Qualifying to the FWT in 2018, Mandl had to perform her best. “I had to win every competition to requalify. It was a mental game, but it really helped me to improve my mental strength. I had to learn how to relax and enjoy riding to perform”. Manuela Mandl started off the 2018 season with her best run ever in Kicking Horse in Canada. With a win in Andorra, a second place in Fieberbrunn and a third place in Verbier, she became the World Freeride Champion in snowboarding her first professional season. “All over, the season was about the pleasure of snowboarding”, is Manuela’s own summary. The joy of snowboarding is what underlines most of Manuela’s activities in life. As she is going through her instructor training she hopes to bring the joy to kids growing up in the cities with buildings and not mountains in their daily view. Architecture is another passion of hers, and in movie making she brings both the aesthetics and sense of the surroundings together with her passion for snowboarding. “The world champion title opened up new doors and possibilities in my visions for filming. I have got ideas in my head, and I am very stubborn. I just want to realize them one or the other way”. 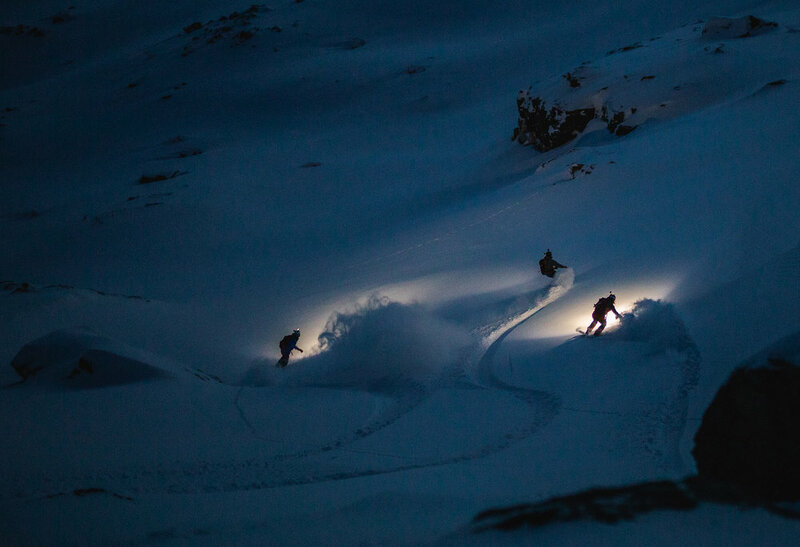 This time, the way led her to Northern Norway for a film project with snowboarding colleague Melissa Brandner. It is the spring of 2018, and Manuela is tired after a long season with the buzz of competing. She crashes with a bike and hits her head. A few days later, she crashes again while snowboarding. “It was a super unspectacular crash, and an unspectacular line. I hit the back of my head. At first I didn’t think it was a problem”. It turned out it was. Looking into screens was hard in the time after the injury, which affected her architecture studies. Also the loss of short term memory was a challenge in daily life. Her snowboarding abilities however, seem not to have been affected. “Snowboarding went well, interesting enough. I know that I transformed, both my brain and myself, but that is what life is about. Change isn’t always negative, things are just different». 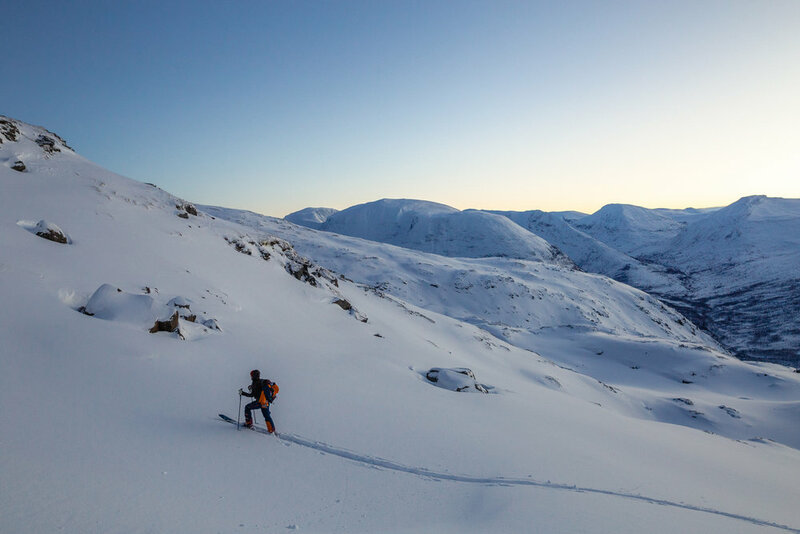 In the beginning of the season, Manuela went back to northern Norway for a new movie project filmed in the dark, Arctic winter. “Melissa that I am making the movie with also had long term issues after a concussion. The red string in the project is overcoming difficulties. The polar night is not the most favorable surroundings for winter sports, but still people are going out there. Being in the mountains after a head injury, some of your senses can seem to go missing in a way. The same happens at night. Riding in the dark, you have to trust your gut again. Your feet are thinking, and your body is snowboarding for you”. “Manuela Mandl is known for going big and riding solid. She can do all terrain, and all snow conditions”, comments the speakers as the last beep is heard and Manuela starts working her way down the first, steep part of the mountain. As she charges out the first cliff and into the first powder turns in the light Japanese snow, the concussion seems to be washed out of her mind to the benefit of the sheer joy of snowboarding. “Whatever happens this season, I have already overshot my aim”, Manuela said on the phone on the way to Vienna. Her run in Hakuba rewards her with a 2nd place. Next up is Kicking horse, and nothing suggests the strong Austrian snowboarder has to aim any lower.